A beautiful faux jade elephant pendant handmade from polymer clay. The pendant has been strung onto a double black leather thong with silver plated finding and clasp. 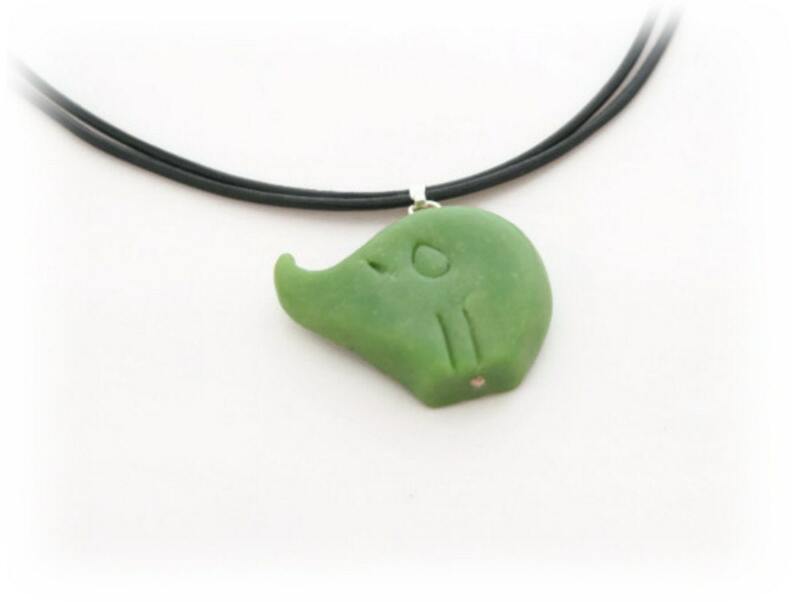 This lovely jade elephant pendant has been handmade from polymer clay using a faux jade technique. The pendant has been sanded , buffed, polished to a beautiful smooth finish. The pendant has been strung onto a double black leather cord and finished with a silver plated clasp.